The High Court has already made a determination outlawing the imposition of spot fines by the police, contrary to the law enforcement agency's claim on Tuesday that no such court ruling exists. Justices Lawrence Kamocha and Maphios Cheda - sitting as a Court of Appeal - ruled three years ago that no police officer should insist on spot fines, but allow a motorist reasonable time to pay the fine if he or she is admitting to the offence. The ruling made under High Court HB 167/12 was brought by a motorist Zaine Babbage who was contesting sentence for using a cellphone while driving. "Where a motorist is caught using a mobile or cellular phone, he should be issued with a ticket to pay a fine as stipulated in Level 5; "The said ticket should give the motorist a reasonable time within which to pay the fine in accordance with their regulations unless the said offender elects to pay the fine on the spot. "A police officer cannot and should not insist on a spot fine on the basis that he is not in possession of a ticket book which ticket book is a necessary administrative tool for executing his duties." The police had criticised High Court judge Justice Francis Bere for saying on Monday that it was unlawful for law enforcement agencies to demand spot fines. In dismissing Justice Bere's judicial observation while opening the Masvingo High Court 2015 Legal Year, police spokesperson Chief Superintendent Paul Nyathi said the judge was expressing his opinion which was not binding. Legal experts said yesterday that claims by the police that the collection of spot fines and the force's retention of the money was debated in Parliament and approved by Cabinet can only be a binding legal position through a Statutory Instrument or an enabling Act of Parliament. In the absence of an Act or a Statutory Instrument empowering the police to compel motorists to pay spot fines, retain the collected money and to impound vehicles, the experts said the police's actions will not be supported by any law. Advocate Thabani Mpofu said the police were not empowered by any law to conduct themselves in the manner they are doing with regards to spot fines. 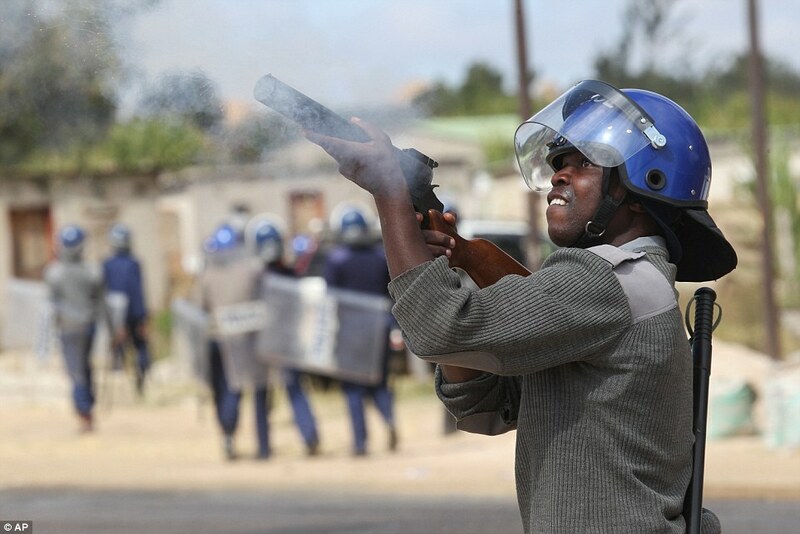 "As it turns out, the ZRP is clearly wrong on this issue in my view," he said. "The fact that parliamentarians have discussed an issue on a motion and the issue had subsequently enjoyed the attention of Cabinet around the oval table does not and cannot make it law." "When the honourable judge made his remarks, he was entitled to do so. He was obliged by his conscience to make them as an integral player in the governance of the country and the ZRP ought to have been measured in its reaction." Mr Chris Mhike of Artherstone and Cook said without the backing of the law, the police's case for spot fines was weak. "Any administrative action taken should be done in terms of a specific law," he said. "Without an Act of Parliament or a Statutory Instrument in terms of which powers are derived, the police cannot at law justify their actions. "There might as well have been credible processes like Parliament debates and Cabinet deliberations, but without legislative conclusion of the subject matter, it is safe to conclude that the process remains incomplete." Adv Lewis Uriri said Justice Bere never interfered with police operations. "The police's interpretation and application of the law, is, in my opinion, wrong," he said. "The learned judge was entitled to express his views on the legality of the patently arbitrary and extortionate police conduct." A legal expert Mr Savious Kufandada said he was not aware of any law empowering police to force motorists to pay spot fines or to retain the collected fines.